Established as one of the UK’s leading wildlife artists, Jonathan Truss is known the world over for his magnificent paintings and drawings. His artwork graces the walls of private residences and corporations from New York to New Zealand, from Botswana to Beverly Hills, demonstrating the broad appeal of both his style and his subject matter. Jonathan Truss's enthusiasm for the animals he portrays, and the never ending exciting trail for new ideas extends to annual trips, camping under canvas in the incredible game parks of Botswana, Zimbabwe, Kenya, Tanzania, and Zambia. 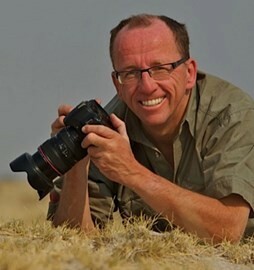 On several occasions he has conducted art safaris in Africa, India and South America. Supporting the conservation of many endangered species, Jonathan Truss has raised thousands of pounds for wildlife causes. Frequently in the media spotlight, he has made over 100 television appearances and has been featured in many national and international magazines. He is a member of the prestigious American organization ‘The Society of Animal Artists’ and also the US-based ‘Artists for Conservation’, and his paintings have been sold through major auction houses, including Christies and Sotheby’s. Jonathan Truss has won an impressive array of accolades for his artwork; recently he was a finalist in both the BBC Wildlife Artist of the Year and the David Shepherd Wildlife Artist of the Year. He is also one of the co-authors of a major artbook entitled ‘How to Draw Wildlife’.